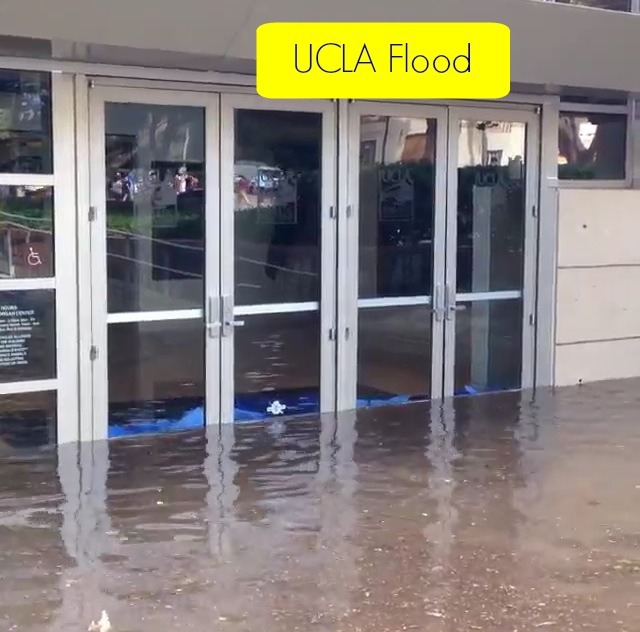 A few days ago, a 90-year-old city water line raptured and flooded many parts of the UCLA campus. Some areas were cleared off but many remain off limits. The fire door, electrical and ventilation systems were all wrecked and must be replaced. The student health center and wellness center was also damaged. The locker rooms and the cardio equipment are not to be used. The basement and the elevator were severely damaged and will need further repairs. The flood has done even more damaged and the campus is still dealing with this problem and it may not end. Many students who had their vehicles parked in the parking structures returned to see their cars muddy and some smelling moldy. According to the Federal Emergency Management Agency, mold can grow within 24 hours of a flood, so it is important to remediate damage quickly. It is important to remove all materials that were damaged and go through the process of removing any remaining moisture out of the air and go through the restoration process. Many are working to dry the affected areas and replace any materials that were damaged. After cleaning up from a flood there is still a high possibility that mold can still grow. Flood water can remain in the ground under tiled floor and in the walls and lead to hidden mold. It is important for students and staff to know the signs of mold and if there are any signs of a musty mold to let someone know. We hope this problem can be solved in a timely matter so that students can go back to school without worrying if there is mold in their environment. If you have any questions regarding mold, Alliance Environmental Group Inc’s environmental division specializes in mold removal and we can be of assistance. Click here to learn more information on the services we provide.